Installing an outdoor spa can be an incredibly rewarding experience, no matter where in the country you live. There’s no doubt that any time of the year you’ll enjoy the relaxing, stress reducing benefits a hot at home spa provides, whether it be in the freezing cold winter or the dog days of summer. 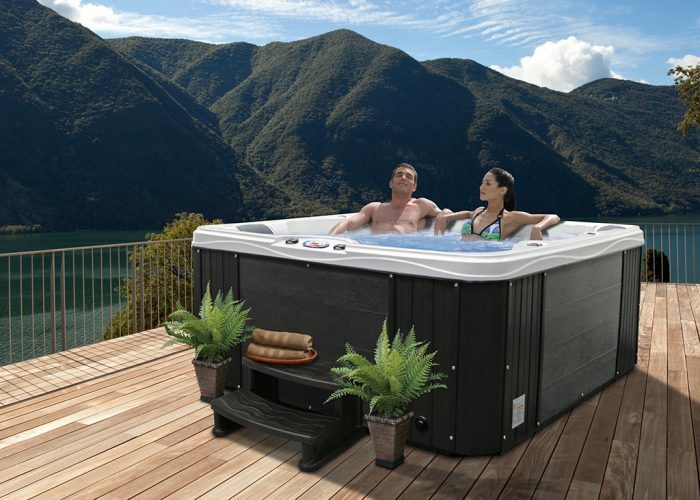 Still, there are a few things you’ll need to consider before you get carried away with daydreaming about those relaxing soaks in your new tub, most important of which is whether you prefer the price point and convenience of an above ground hot tub or the aesthetic appeal of a below-ground model. To help you out, this guide will tell you everything you need to know about each type to allow you to make a more informed decision and hopefully ensure that you’ll be happy with your choice. Generally speaking, most people who choose an above ground spa do so for one of several important reasons, such as portability, ease of installation and lower costs. The improved aesthetic look and more customizable options are what leads most people to choose this style of Spa. That being said, in-ground spas also have their own drawbacks. No matter which style of spa you choose, there are a number of ways to ensure that it fits into your lifestyle. Consider spa surrounds you can create an outdoor patio and seating area, allowing even those who don’t want to get in the water to still enjoy the party. Another popular option is to build a gazebo or get spa privacy panels around the spa, which gives you the added benefits of extra privacy and protection from the elements. At the end of the day, you cant go wrong buying yourself a private spa, the health benefits alone make it one of the most rewarding decisions you make for yourself and your family. Subscribe to our Emailer list and get a head start on all sales deals and new products. Follow us on social media to stay informed and connected with the American Spa community.